Action Resources is a unique carrier. The company offers specialized transportation services, which includes the hauling of hazardous waste and chemicals. This means that applicants must have tank and hazmat endorsements to be considered for a driving position. Action Resources aims to hire quality drivers, and they offer modern equipment. 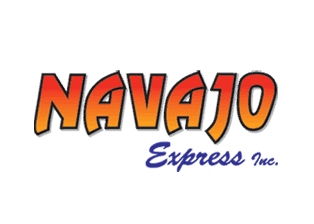 They also boast a number of locations in several states, including Oklahoma, Alabama, Arizona, Arkansas, Ohio, North Carolina, Georgia, Texas, Utah, Louisiana and California. The carrier covers all of the United States and Canada, which can mean challenging schedules for some drivers. Not to mention the fact that the company hauls some of the most challenging materials in the business. Hazmat trucking pay is typically higher than average. Action Resources does pay more than most companies, but not by much. Indeed.com also offers some insight into how much company drivers earn. Company Driver: $62,737 per year, based on 8,507 salaries. Tanker Driver: $61,054 per year, based on 996 salaries. Owner operators, according to the company, earn between $180,000-$220,000 gross. Company drivers can and do get sign-on bonuses, but the dollar amount varies by location. Between August and September 2016, the company offered a $5,000 sign-on bonus at all terminal locations. Referrals can also earn drivers up to $3,000. Drivers are also reimbursed the costs of hazmat endorsements and TWIC. 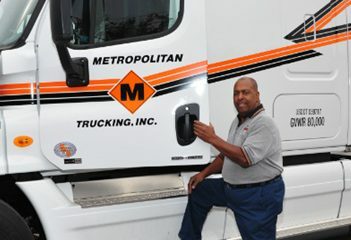 Company drivers enjoy quality medical and retirement benefits at affordable prices. Insurance and retirement savings allow drivers to protect and provide for their families in case the worst should happen. Life and accidental death insurance is also provided to employees at no additional cost. There’s also a prescription drug plan that can help drivers pay for costly medications. 401(k) with 100% match for up to 3% of income; 50% match on 4-5% of income. Drivers are given paid vacation time and holidays, and local positions allow for more home time. Many drivers appreciate the family atmosphere at company terminals, and they also appreciate being able to use late-model equipment that’s well-maintained. Is Action Resources a Good Place to Work? A great salary and benefits can make a company an attractive option, but money isn’t everything. Poor company culture can make going into work miserable. Drivers on Indeed.com have mixed feelings about Action Resources. Many say that while the schedule can be hectic, the atmosphere is laid back. Others criticize management and claim that dispatch is disorganized. Some say management makes promises that they cannot keep. The complaints made by drivers are not unique to Action Resources. Many company drivers have the same complaints – no matter the carrier, this is the nature of the industry. Still, the company offers competitive pay, great benefits and sufficient home time. If you don’t mind a hectic schedule, Action Resources may be a good fit for you.